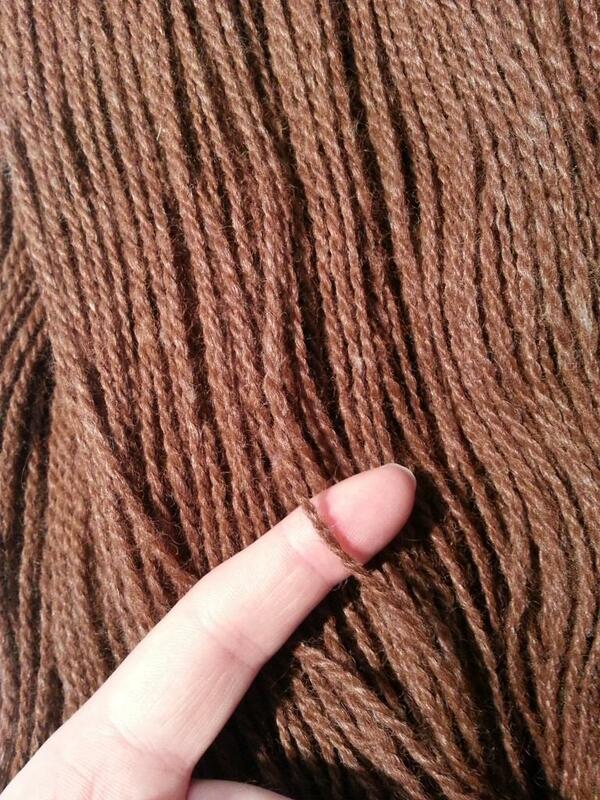 I really, really like how the twist came out in this yarn. Nailed it, if I do say so myself. It’s a lovely worsted/medium weight, my go-to weight for the vast majority of my crochet projects. 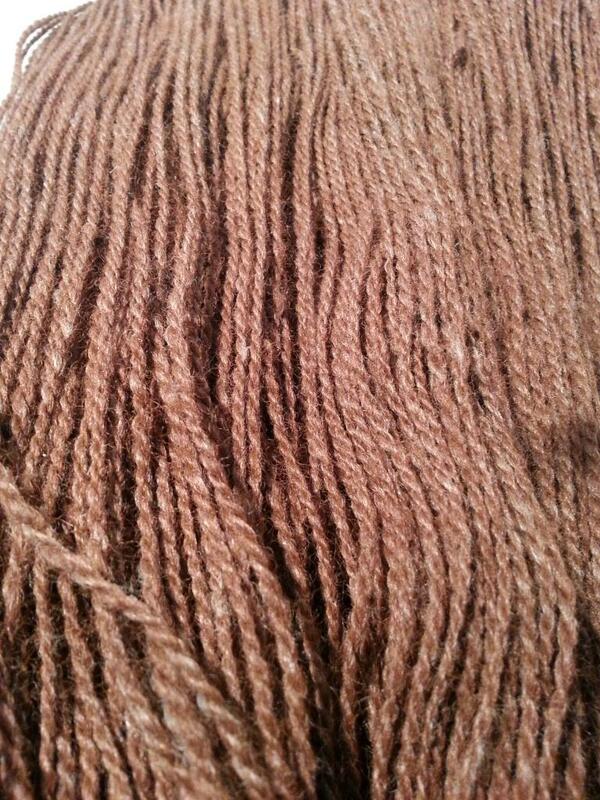 The roving is 90% alpaca, blended with 10% bamboo silk, and it has a lovely, rich color. 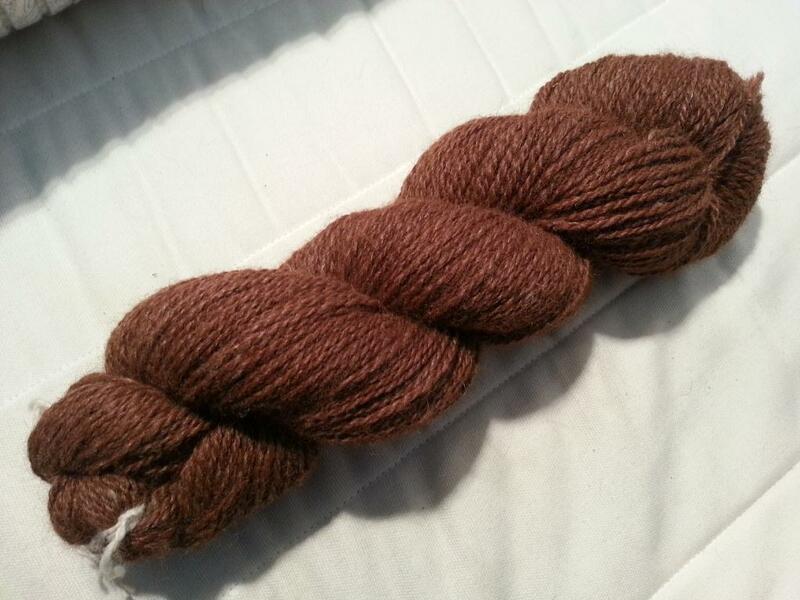 The alpaca fiber comes from Cherry, who belongs to our shearer. Last year, he gave us a bunch of fleeces from his own animals, and I’m making sure I’ve spun up a healthy skein or two from each to give back to him. Also, since shearing day is on the way, I’m somewhat frantically trying to empty the fiber closet! This entry was posted in fiber art and tagged alpaca yarn, handspinning, handspun yarn, yarn. Bookmark the permalink. Thank you! I love it when I get the twist right. Makes it all worthwhile.